As I described in great detail in a separate Who What Wear story, earlier this year, I was busy planning my New Orleans wedding. And as a fashion editor, what I wore for the occasion was especially important to me. Speaking of which, they say you should never buy accessories for a special event before choosing the primary piece (in this case, the wedding dress). But this was a rule that a broke without even thinking twice about it. Sure enough, the shoes ended up being perfect for the champagne lace-and-tulle Monique Lhuillier dress I ended up choosing. Since my mom and best friend were traveling to go wedding-dress shopping with me, I only had one day to find a dress, and the shoes helped me to narrow my focus (but were versatile enough to not narrow it too much). Not only did I choose my bridal shoes before my wedding dress, I also choose the handbag that I carried to the reception: a metallic brocade pouch I called practically every Prada store in the country in search of before eventually tracking it down in Miami. The handbag also helped guide my wedding-dress search while remaining versatile. Read on to see my wedding shoes and dress, and to shop shoes and bags versatile enough to buy long before the dress. These are the shoes I chose pre–wedding dress. 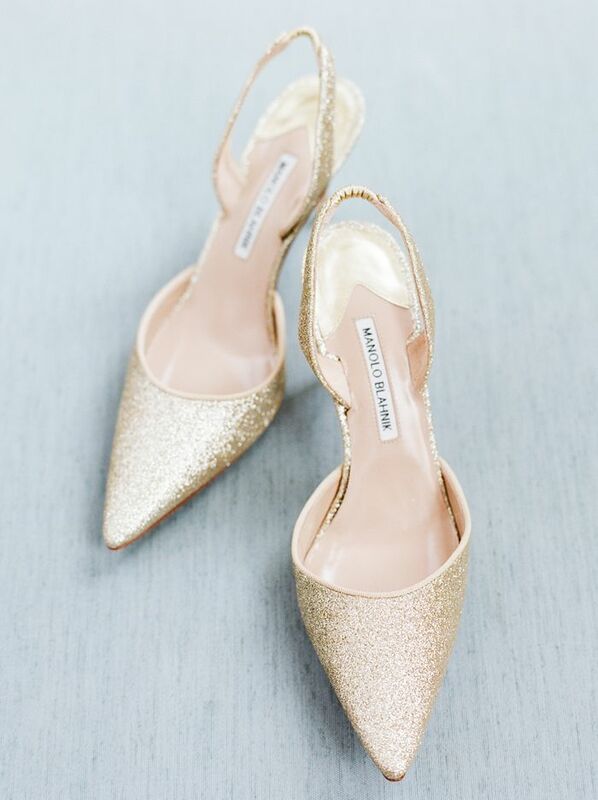 The champagne lining of the dress ended up being perfect with the gold heels. I waited six long months to get to wear these shoes, so I was happy to finally put them on. The shoes happened to be perfect with my party dress too. My beloved wedding shoes, which I will definitely wear again. 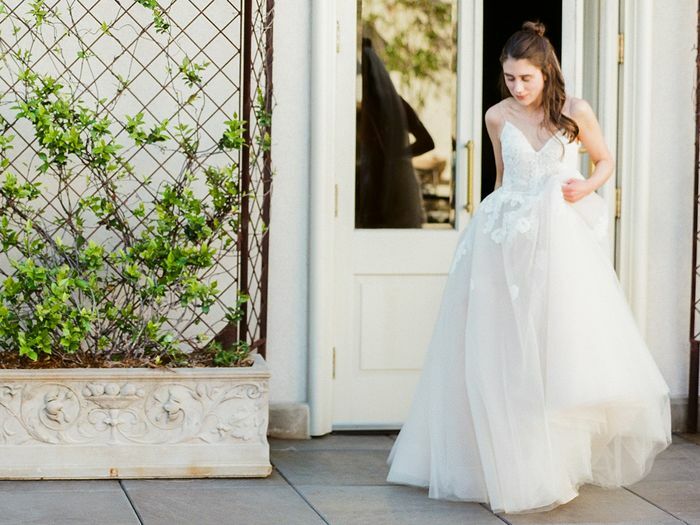 Next up, shop the nontraditional wedding dress trend that's hard not to love.